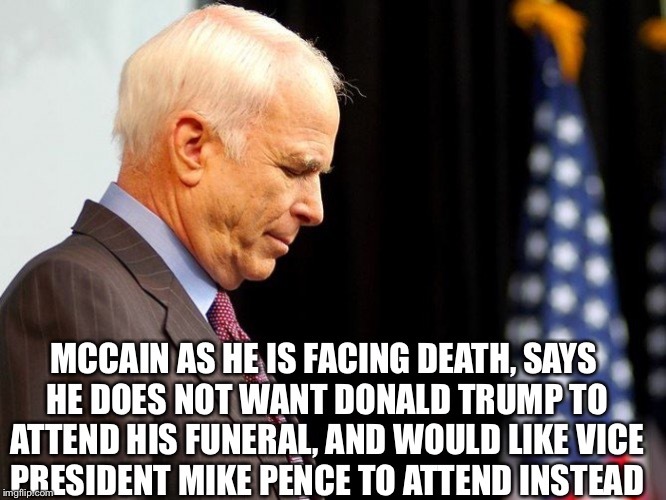 This isn’t anything more than a reaffirmation of standard protocol- Vice Presidents typically attend funerals which frees the POTUS to deal with the problems of the nation. Some self-absorbed politicians have demanded the sitting president attend their funerals, which detracts from the common good. Yea because with all the golf cadet bonespurs plays, he really doesn’t have the time!